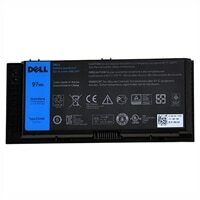 Dell 97 WHr 9-Cell Primary Lithium-Ion Battery, Simplo, Customer InstallAlways on the go? No more worries about running out of battery power! You can power your Laptop with this 9-Cell Lithium-Ion Battery from Dell™. With a capacity of up to 97 WHr, the battery lets your laptop work seamlessly when you are on the move. Our Limited One Year Warranty guarantees that if our Genuine Dell-branded parts should fail, we will replace them. For moreinformation about warranties, please click here: www.dell.com/warranty. Always on the go? No more worries about running out of battery power! You can power your Laptop with this 9-Cell Lithium-Ion Battery from Dell™. With a capacity of up to 97 WHr, the battery lets your laptop work seamlessly when you are on the move.